Saddle up, partners, and head West! 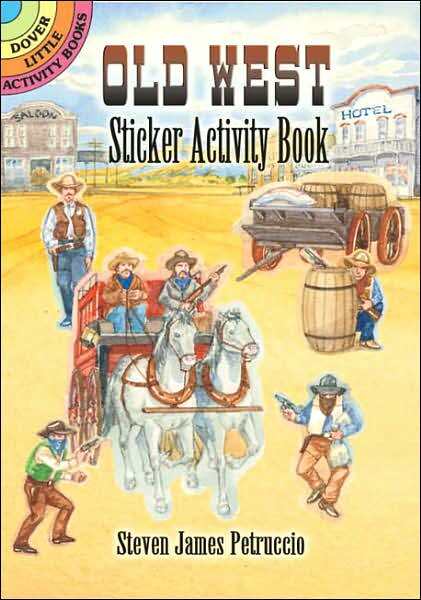 The inside covers of this little book depict the main street of a frontier town, and 25 reusable stickers bring it to bustling life. Desperados, pioneers, prospectors, Indians, and other familiar figures from when the West was wild offer hours of lively, imaginative fun. Booklet, c2006, 6 pg : ill; 10 cm.